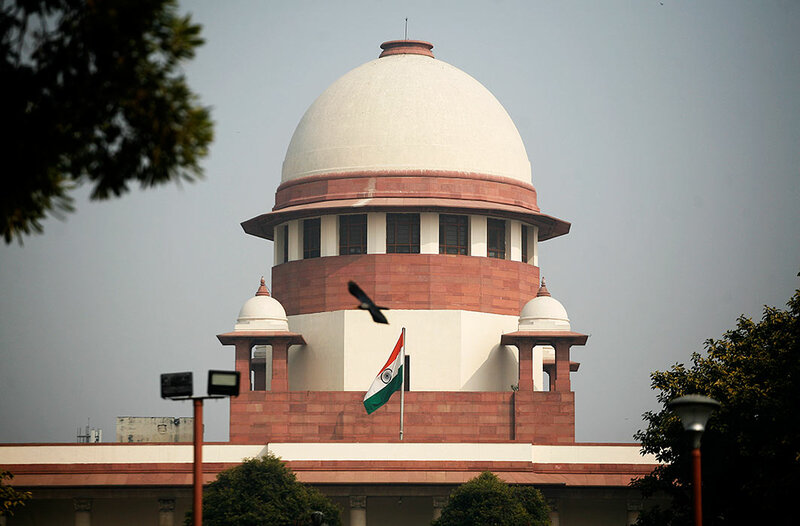 The Supreme Court on Thursday stayed its own order that directed 21 states to evict 11.8 lakh illegal forest dwellers whose claims over the land have been rejected by the authorities, just a fortnight after it delivered the controversial verdict. A bench comprising Justices Arun Mishra and Naveen Sinha directed the state governments to file affidavit giving details about process adopted in rejecting the claims. SC posted the matter for further hearing on July 10. The apex court had on Wednesday agreed to hear the Centre’s plea seeking withholding of its February 13 order asking 21 states to evict nearly 11.8 lakh forest dwellers whose claims were rejected. Only yesterday, the Centre had moved the Supreme Court seeking a stay on its February 13 order. Earlier, the Congress president Rahul Gandhi had, last week, written to chief ministers of Congress-ruled States which were to be affected by the verdict – Madhya Pradesh, Chhattisgarh and Rajasthan – and asked them to move the apex court seeking review of the order. Soon after, chief ministers of some BJP ruled States, Assam in particular, had also decided to seek a stay of the order. The Centre’s belated move to challenge the eviction order perhaps stems from the realization that its failure to do so could attract a heavy electoral price in the upcoming Lok Sabha polls, despite the renewed public euphoria in favour of Prime Minister Narendra Modi and his BJP in wake of the Indian Air Force’s daring strikes at Jaish terror camps in Balakot, Pakistan, on February 25, as an effective response to the recent terror attack in Pulwama, Jammu & Kashmir. Sources told India Legal that with the Congress president drawing first blood on the issue of the court-ordered eviction of tribals and traditional forest dwellers by promptly asking his party’s chief ministers to challenge the move, the BJP felt it could see a reprisal of protests similar to the ones that had broken out across the country last year when the top court diluted the Scheduled Castes and Scheduled Tribes (Prevention of Atrocities) Act. The top court’s verdict that diluted the Atrocities Act was nullified by the Modi government through an amendment to the Act hurriedly brought to and passed by the Parliament. The amendment is now under challenge in the Supreme Court which is set to hear the petitions against it for three days starting March 26. The apex court’s decision to dilute the Atrocities Act was attributed by the Opposition to the fact that the Centre had not taken the case seriously in the first place and hadn’t deployed its seniormost law officer, Attorney General KK Venugopal, to argue in defence of the strident provisions of the law. With general elections less than two months away, the Centre cannot allow the Congress-led Opposition to fan already gaining public sentiment about the BJP-led NDA coalition being anti-poor. Not surprisingly, soon after Gandhi asked Congress chief ministers Kamal Nath, Bhupesh Baghel and Ashok Gehlot to move the top court seeking review of the eviction order, the Vanvasi Kalyan Ashram, an affiliate of the BJP’s parent organization, the Rashtriya Swayamsevak Sangh (RSS), had issued a statement saying the Modi government must either bring an ordinance to undo the SC order or seek its review. The Vanvasi Kalyan Ashram is among the RSS-affiliates that has, for decades, been working among tribals and forest dwellers – a traditional Congress voter base – and trying to bring this significant electoral block, with evident success, into the BJP’s fold. On February 13, the Supreme Court had ordered the eviction of over 11 lakh families of forest dwellers whose claims to forestland under the Forest Rights Act, 2006 had been rejected by respective state governments. The court has given the States time until July 24 to complete the eviction process. The order by the top court came on a clutch of PILs filed in 2008 by various organizations like the Bombay Natural History Society and the Wildlife First which claimed to represent the interests of wildlife and of nature. The petitioners had challenged the constitutionality of the Forest Rights Act and had, in 2014, sought identification of illegal forest dwellers.